Founded over 140 years ago to serve as a resource to the Jewish immigrant population, the Jewish Board of Family and Children’s Services’ history is one of providing support and care for those in need in all of New York City’s diverse communities, serving people and families of all religions, ethnicities, ages and cultural backgrounds. 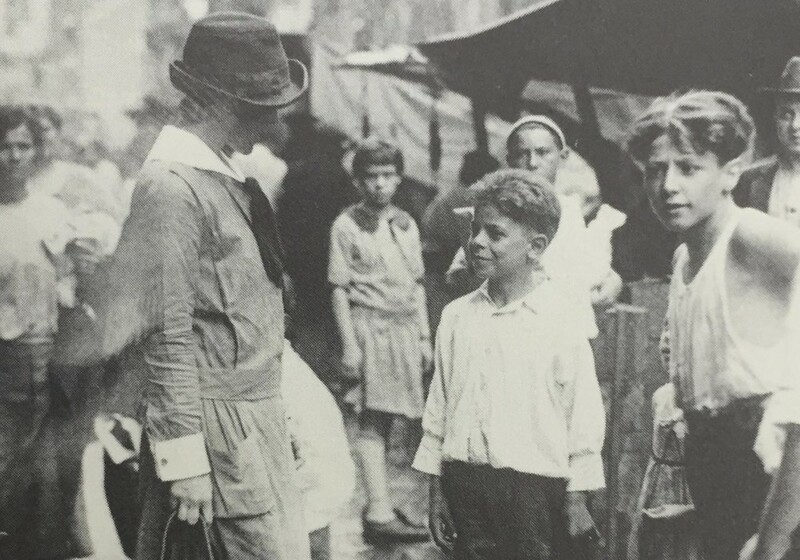 In its earliest days, our volunteers contributed to a history of “organized expression of neighborly feeling.” This spirit drives The Jewish Board to this day, as it continues to extend a helping hand to those most in need of care, support, and a clear vision of a path forward that involves hope, recovery, and resilience. In 1874, New York City was the center of a growing and flourishing immigrant community. Alongside this unique explosion of multicultural living, there arose a range of social problems: poverty, crime, the exploitation of labor, and the unchecked spread of tuberculosis which darkened the American dream for a massive segment of the city’s population. It was from this environment that the two early precursors to The Jewish Board arose: The Jewish Prisoner’s Aid Society, with a mission to “minister to the physical and spiritual needs of Jewish prisoners and their families”, and United Hebrew Charities, an organization which brought together a collection of smaller organizations to “improve the condition of the poor by assisting them in various ways to raise themselves from their present conditions.” Over the next century, these two organizations changed names and broadened their missions. Throughout the 1920s, the discipline of Social Work blossomed in order to analyze and understand the emerging ills of modern city life, and as it grew so did our direct predecessors. The organizations, which by this time were renamed the Jewish Board of Guardians and the Jewish Social Services Association, created programs to address homelessness and provide a wide range of basic social services; In the 1930s these programs expanded to help carry New York through The Great Depression. The 1940s and 1950s brought a newfound focus on counseling and mental health in the world of social services and the organizations provided more aid than ever to children and families. By 1959, the organizations, now known as the Jewish Board of Guardians and Jewish Family Services, had established themselves as leaders in the world of social welfare, continued to provide revolutionarily effective treatments to many as they also offered training to mental health workers and, through research, helped the professions of psychiatry and psychology take huge strides forward. The social change and upheaval of the 1960s and 1970s found the organizations again shifting focus to meet head-on the needs of new communities. New York City was facing unprecedented crises. Crime and poverty skyrocketed. Juvenile delinquency, mental health issues, and drug abuse grew to epidemic levels. With the new popularity of the American counterculture, new kinds of cross-generational gaps and conflicts arose within families. As other social service organizations and the government were struggling to keep up, Jewish Family Services and the Jewish Board of Guardians provided relief and pioneered new programs to address the issues of turbulent times both within and outside of the Jewish community. In 1978, amid funding cuts and facing increasingly more complex social problems, a new organization was born and a new day had arrived in the world of social services. The Jewish Board of Guardians and Jewish Family Services merged under the moniker Jewish Board of Family and Children’s Services and promised to a reinvigorated service for a City in need. The tradition of excellence did, indeed, continue, and the newfound flexibility of the organization’s mission, empowered by the merger, was critical in the difficult decades that followed. In the 1980s and 1990s, an unprecedented gap between the city’s rich and poor emerged. The devastation of the emerging AIDS crisis shook the city. Concurrently, a new wave of Soviet émigrés, bringing their own special needs was arriving in New York, and the range of issues faced by many of the city’s diverse populations continued to grow. People still needed help, and government funding trickled away from social service organizations. To philanthropically fund The Jewish Board’s Jewish-targeted programs, The UJA Federation of New York stepped in. This important and fruitful partnership continues to this day. In the new millennium, The Jewish Board has found new ways to provide help and relief to more families and individuals. It met the singular needs of 9/11 survivors and provided assistance to the victims in the aftermath of Superstorm Sandy. The Jewish Board has clarified its mission to help individuals realize their potential and live as independently as possible, guided by the values of hope, recovery and resilience. In January 2015, we learned that one of our fellow UJA-Federation agencies, FEGS, was filing for bankruptcy. The City and State asked The Jewish Board to jump in and take over $75 million of services. We were up for the challenge. Several months later, The Jewish Board absorbed these programs and grew from a $175 million agency with 34,000 clients to a $250 million agency with 43,000 clients, becoming the largest human services agency in the State of New York. These new programs extend and intensify the continuum of care we offer: our clients can now access more clinics, more supportive housing and more care management resources than ever before.